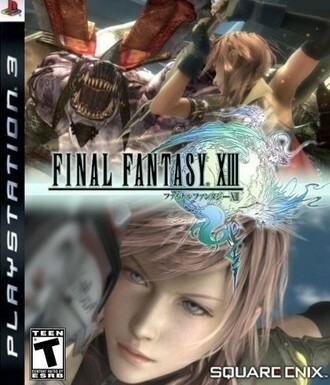 In the recent PS3 Surge Article posted here on Geek Montage, it was mentioned that Square-Enix will officially announce the release date of the much anticipated Final Fantasy XIII for the PS3. It will be scheduled for release on December 17th, 2009 with a price of 8,800 yen (equivalent to 95.50 US Dollars). Square-Enix President Yoichi Wada also talked about the international release of the game, which also includes an Xbox 360 version. He says that the game will be released sometime in the Spring of 2010. This is true among most Japanese based games, which take a huge amount of time to release outside of Japan (mostly due to translation changes). So if what Wada said is true, we can expect this game to hit between Q1 and Q2 2010 in the gaming calendar. Both the PS3 and Xbox 360 version are projected to sell around 59.99 US Dollars when it hits the states. Wada also said that, because of the commitment by Sony to the franchise, he is also announcing a Final Fantasy XIII-specific bundle for the PS3. Whether it also means their will be a bundle of this sorts heading towards the states remains to be seen. Another announcement regarding FFXII is the new “potion drink” called Final Fantasy XIII Elixir, which is set to hit Japanese shelves in the winter. It will also come with a limited edition set: with a box, action figure, and exclusive can-designs. Pricing for the drink will be set in October prior to its release. The drinks and set appears to be a Japanese exclusive, but who wouldn’t want FFXIII game fuel? So to recap: JPN release date (PS3 only) – Dec 17th; International Release (PS3 and 360) – Spring 2010. This entry was posted	on Tuesday, September 8th, 2009 at 2:43 PM	and is filed under Games, News. You can follow any responses to this entry through the RSS 2.0 feed. You can leave a response, or trackback from your own site.